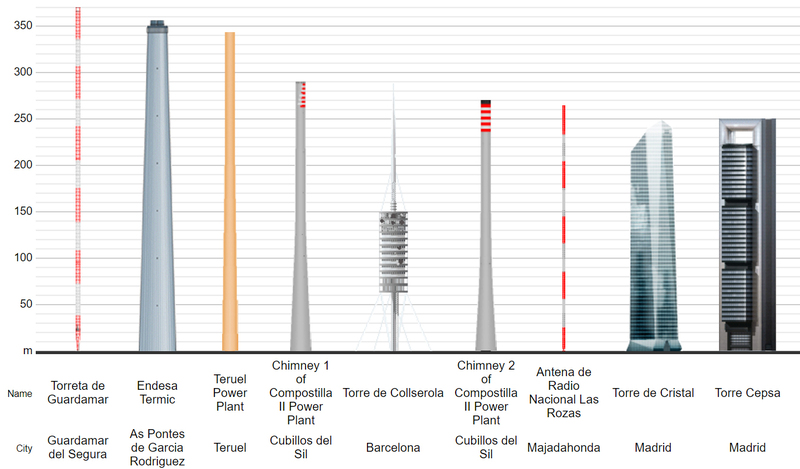 What is the tallest architectural structure in the European Union? You may be surprised to learn that it isn’t a skyscraper, no matter which city you think of. 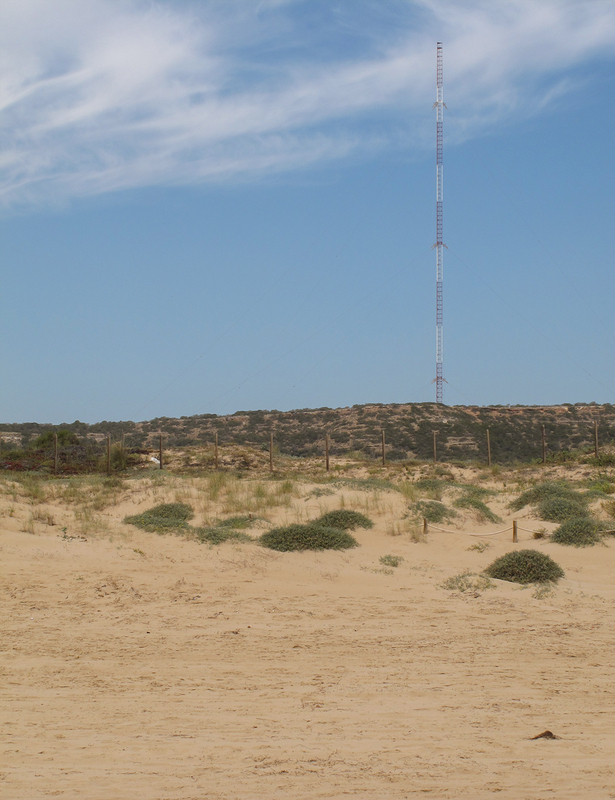 It used to be the Belmont TV mast in Lincolnshire, England, but in 2010 it was lowered by some 35 metres leaving a new champion – the Torreta de Guardamar, also known as the Torre de los Americanos. At 370 metres tall, it is head and shoulders above anything else in the entire EU. Don’t believe me? Look at this list and you’ll see that other structures have either collapsed, are at sea, or are outside the EU! So, what’s the story behind this giant mast that dominates the skyline across the area? Well, it was built in 1962 to enable the US Navy to communicate with their submarines in the Mediterranean. That’s why many locals refer to it as the Torre de los Americanos. Some years later its role was transferred to the Spanish Navy based in Rota, Andalucia, who continue to utilise it to this day. 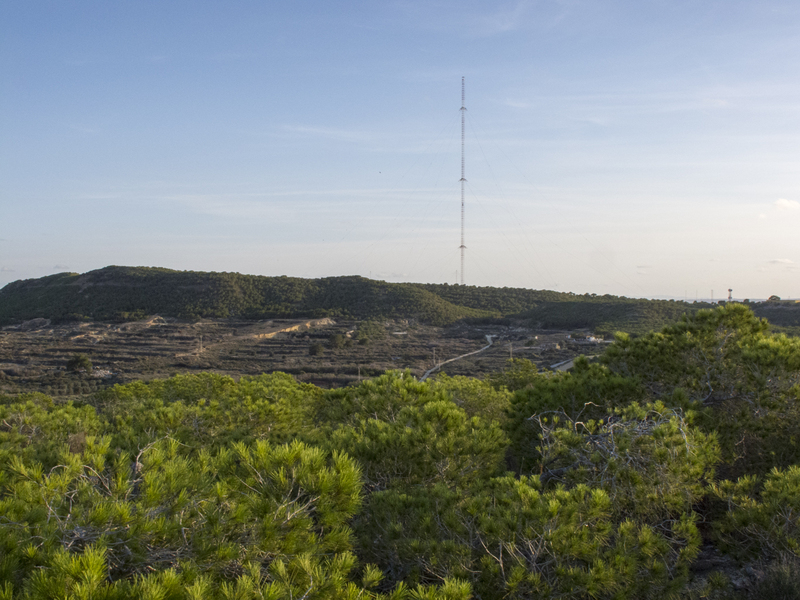 Wherever you are along the coast from Torrevieja to Santa Pola, or inland to the mountains of Crevillente, you can’t help but notice the mast. It is perhaps best viewed from Moncayo beach, but there are roads and paths in the hills enabling you to get rather closer if you wish to. The town hall in Guardamar have even been known to organise guided visits from time to time. Thanks to Alicantevivo.org for inspiring me to write this blog. I can see the mast from my house and had always wanted to know a little more about it. When we first bought a property in Torrevieja in the eighties I went to Murcia using a back road, no motorways in those days. I got lost and some locals in bigastro told me to look out for the americano antenna to help guide me back towards Torrevieja. I did just that and found my way back ok. It’s an amazing landmark.